This entry was posted on August 13, 2018 by Magnattack. 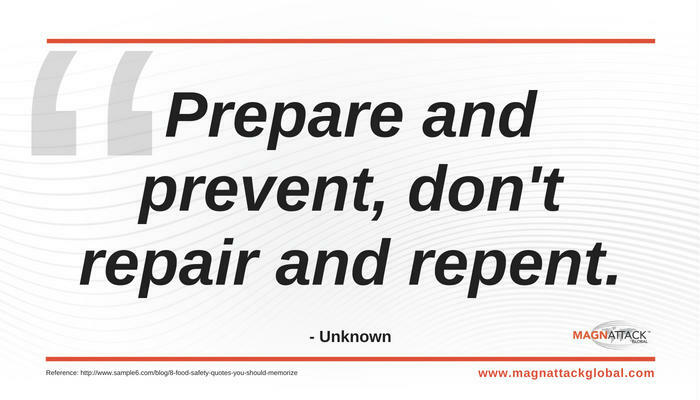 This is an old, well-known saying that can be applied to almost any situation....including food safety and physical hazard control. PREPARE for the presence of foreign bodies, such as metal fragments, and PREVENT contamination of your final food product. 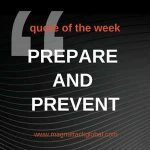 Prior preparation will help save spending time and money in order to try repairing the damages of contamination, such as food recall, financial loss, and brand name damage.